MC Conditioner - All Things Hip Hop! : The R.E.D Album: Worth the Wait? West Coast rap is enjoying somewhat of a mini renaissance in recent months. Standout albums from Jay Rock and Kendrick Lamar have yielded positive responses, but this has failed to match up in sales. 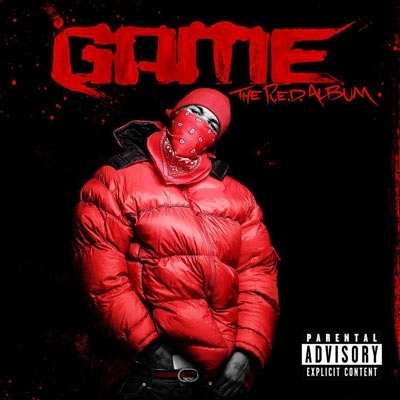 West Coast juggernaut Game hopes to buck this trend with his last, much delayed album on Interscope: The R.E.D Album. The first noticable thing about the LP is the staggering number of guest appearances. Established stars such as Dr Dre, Snoop Dogg and Lil Wayne join newcomers in the form of Tyler the Creator and Kendrick Lamar. Indeed, only 4 of the 21 tracks have no features at all. This, of course, is not necessarily a bad thing. Game is famed for his name dropping and has produced three well received albums using the same guest-heavy framework. In addition, Dre provides four skits narrating his former protege's life and career. This is a nice, if slightly unnecessary touch. It seems as if Game is taunting his detractors by showing them the newly repaired relationship with his mentor. Dre also pops up as a rapper on 'Drug Test', a decent banger, if a little on the short side. Snoop Dogg also features with a somewhat random 4 lines halfway through the song. It appears as if the track was rushed, relying on the big names to pull it through. The album opener 'The City' is the strongest track on the LP. Game is on fire as he spits viscous, hungry lines, boldly proclaiming: 'The best the West has ever seen, no disrespect to Calvin'. Also noteworthy are the Blood celebrating 'Red Nation', wisely keeping Lil Wayne on the hook, and 'Ricky', based on the slain character from Boyz in the Hood. As usual with a Game album, there are too many tracks. A more stringent approach to trimming the fat would have pushed the LP into the outstanding bracket. As it is, the project is still definitely worth the wait, and is a worthy addition to his strong catalogue.